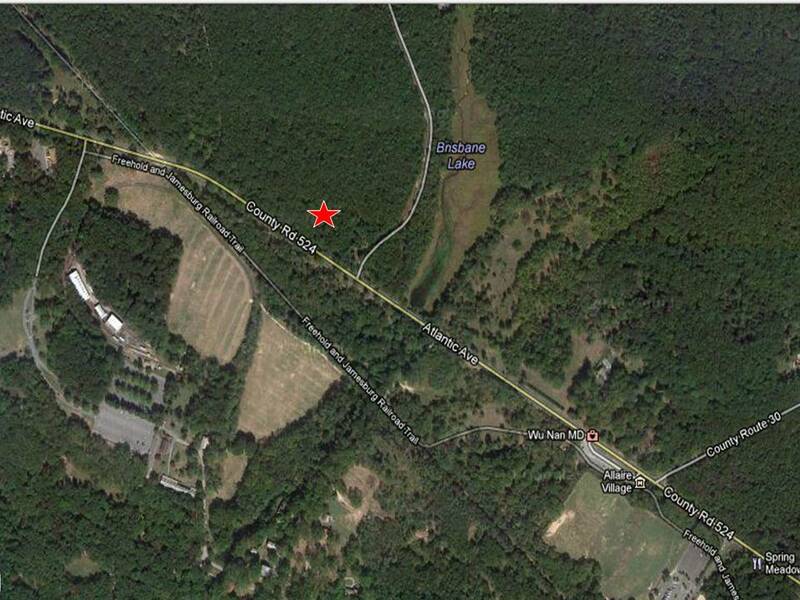 Help the legendary Meadowlands Marsh Hawks! If you contribute $25 or more, you will have a chance to win a spiffy official Meadowlands Marsh Hawks cap and T shirt. 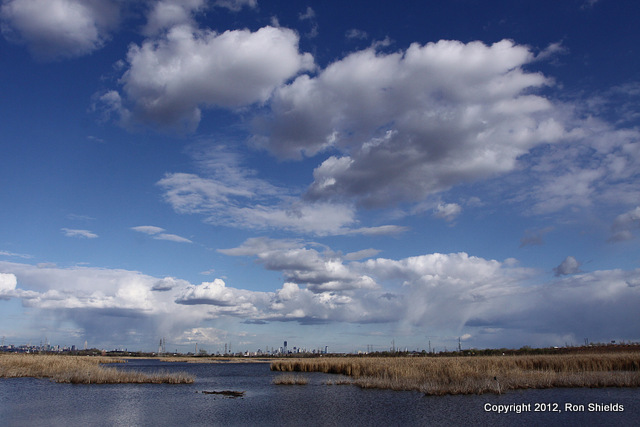 Make checks payable to the N.J. Meadowlands Commission. Yikes! Tomorrow is May 1 already, so we are asking for Meadowlands Big Year participants to e-mail us their totals so far (if they have not done so already. There's still eight months left, so feel free to jump in and join the fun. It costs nothing to participate, and we are offering some nifty prizes. If you are competing off the radar, please e-mail Jim Wright at jim.wright (at) njmeadowlands.gov so we know you are out there. Much appreciated, and good luck to all. Thanks to those who have updated their numbers already! 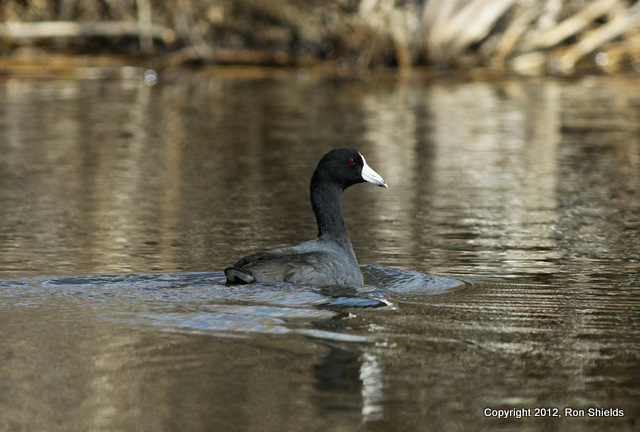 The New Jersey Endangered and Non-game Species Program (ENSP) collects data for, not just rare birds, but all of the state’s endangered, threatened, and special concern species. A Rare Wildlife Sighting Report Form is available on ENSP’s website for download as well as instructions for completing the form. 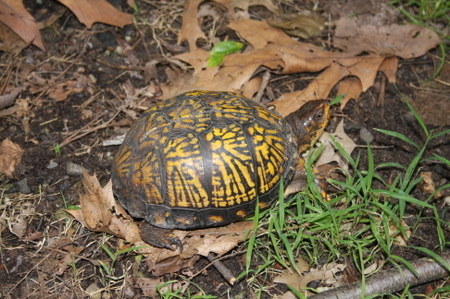 A complete list of all of the species tracked by the state — such as the Eastern Box Turtle above –can be downloaded here. 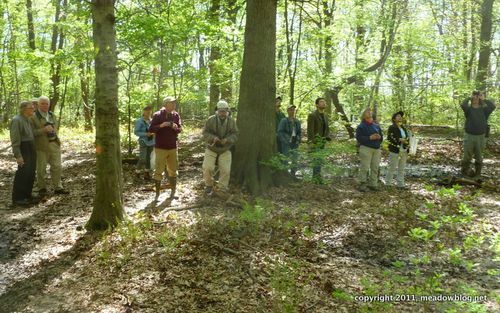 We hope you' be able join us on Sunday, May 6, for our annual spring walk at Losen Slote. 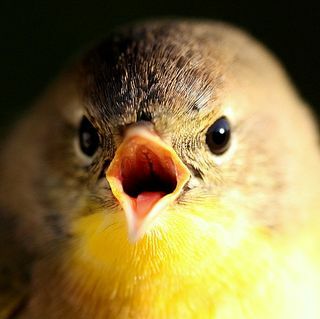 This is primetime for warblers and other migrants, and we hope to see our share. As we did last year, we'll try to groom the trails and clean up any litter we find along the way. When we did a little scouting trip on Thursday, we noticed the trails were muddy/puddled in a few places, so waterproof boots are a good idea if you've got them. 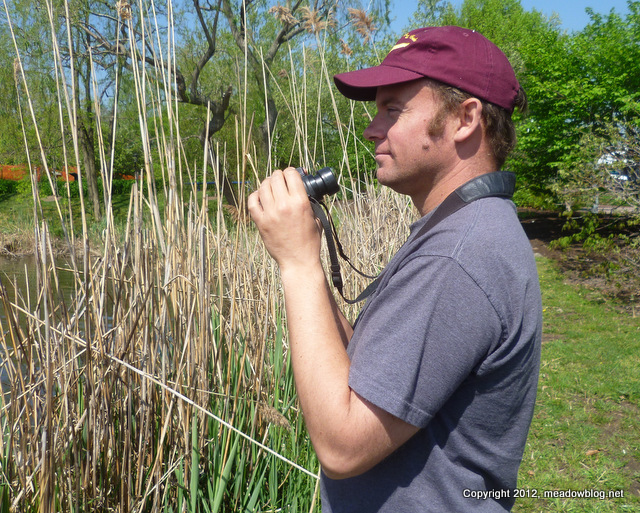 A post with the list of birds we saw last May on our Losen Slote walk — including 11 species of warblers — is here. 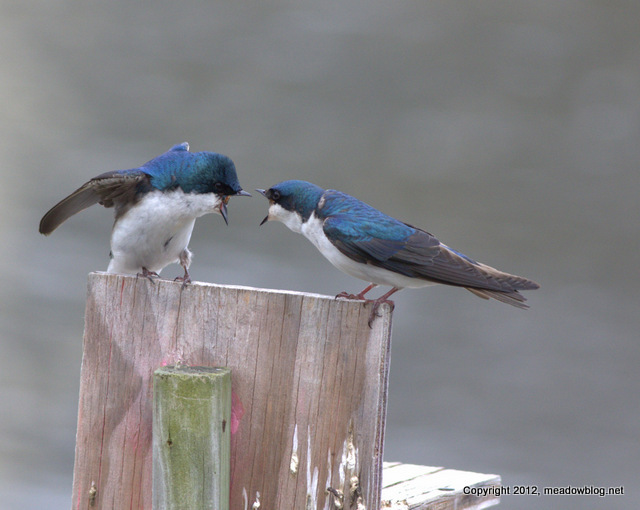 This shot of quarreling Tree Swallows is part of our latest post on wildnewjersey.tv. The post is the entire sequence of the two swallows discussing property rights. Last week, I made my first venture of the year into the Kearny Marsh by kayak and found numerous Great Blue Herons and plenty of coots throughout the impoundment. A substantial raft of Ruddy Ducks was still around along with northern shovelers and a sprinkling of Green-winged Teal.The big surprise was an American Bittern which was flushed from the phragmites in back of Gunnell Oval and a half-dozen snipe that exploded off a mud flat right in front of me. 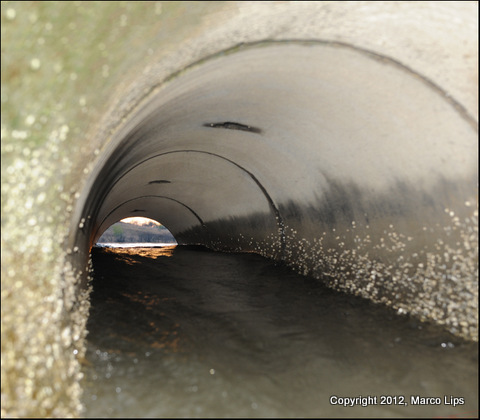 Mike Gempp posited that it was one of the big pipes connecting Teal Pool with the Saw Mill Creek Mud Flats/Tidal Impoundment, and we agree. That said, the other answer — "probably the bottom of his coffee cup" did not sound that far-fetched. Thanks to all who particpated, including Marco. 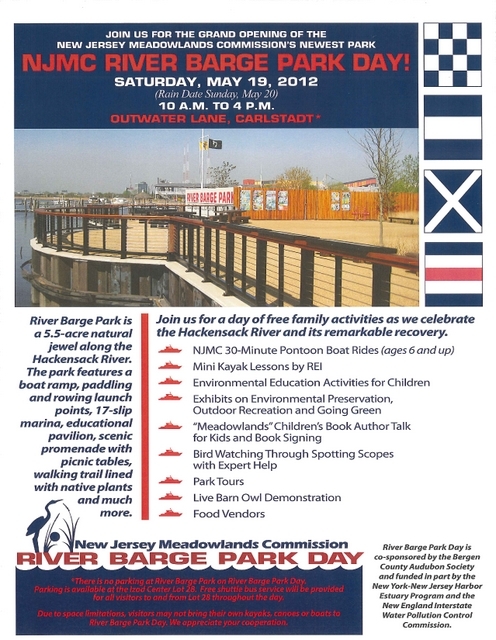 River Barge Park Day: Saturday, May 19! 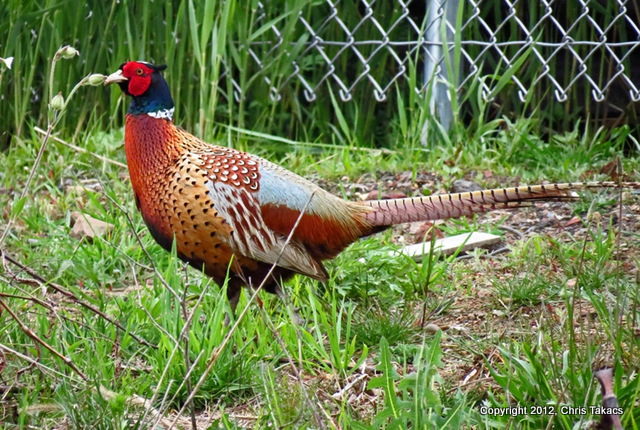 On Saturday, May 12, before sunrise, a team of three intrepid birders will begin scouring Bergen County for as many species of birds as they can find in one day. The team is the Meadowlands Marsh Hawks, led by N.J. Meadowlands Commission naturalist Mike Newhouse, and their goal is simple: to raise money for a new native-plant garden for birds and butterflies in DeKorte Park. The Marsh Hawks, named after one of the region’s signature raptors, a.k.a. the northern harrier, are competing in the World Series of Birding, a New Jersey event known around the world.